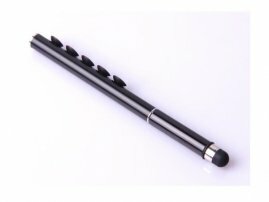 Octopus-Like Sucker Stylus & Ballpen for iPad / iPhone / Galaxy S / Galaxy Note / LG / HTC Phones : allputer.com - Accessories for all your Portable Electronics & Computers! This stylus provide you much more than a stylus. It is a stylus and at the same time it is a ball pen too. It also has 5 small sucker in the body that you can stick it to your device when you don't need it so you will never to find your stylus again when you need it. This stylus is available in Black, Red and White.